The most important bill hitting the House floor this week is HB63, which is Rep. Sean Lynn’s bill requiring the safe storage of firearms. This bill would make allowing a minor or an unauthorized person access to a loaded firearm. A violation would be a Class B misdemeanor unless the gun is used to commit a crime or injure someone or is given to another unauthorized person, in which case is becomes a Class A misdemeanor. The sentence for a Class A misdemeanor maxes out at one year in prison, while a Class B offense may include up to six months in jail. On the Senate side of Leg Hall, Senator Walsh will be busy. His two bills, SB8 and SB48 will be hitting the floor for a vote. SB8 will make compensation a mandatory subject of bargaining for any group of employees. SB48 will require bidders for public works that are required to provide prevailing wage to provide approved Craft Training Programs for Journeymen and Apprentices. DelTech’s SB50(S2) will be getting a hearing if not a vote on the Senate floor. 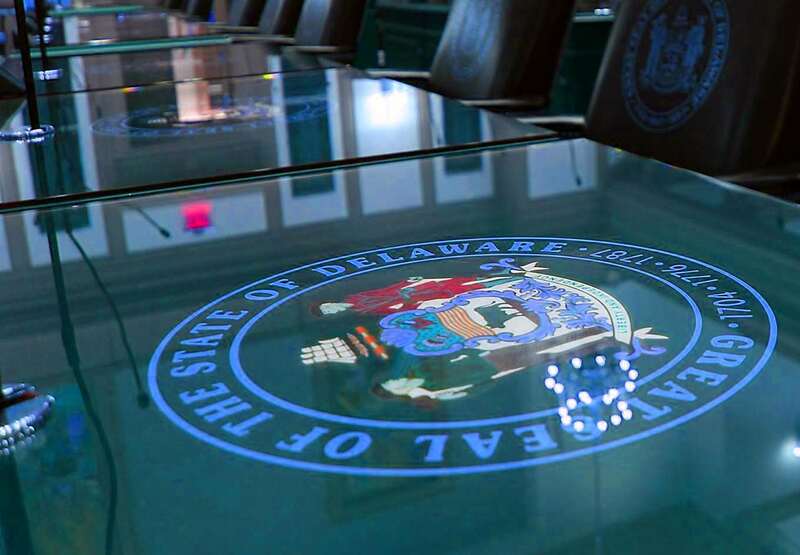 The bill has been amended to remove the unpopular and objectionable property tax scheme to a much more favorable direct funding from the state and bond issuance scheme.